Next week only, we are offering a sale on our books that have made a splash this year (note: these are not waterproof!). 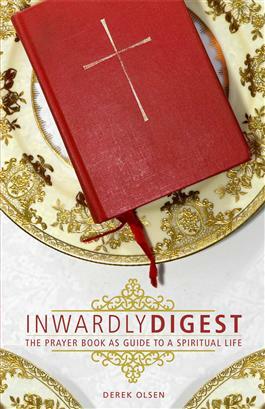 Each day of the week—from Monday to Friday—a different book will be featured, with a 40% discount! The Path is the story of the Bible, excerpted from the New Revised Standard Version so that it is clear and easy to read. 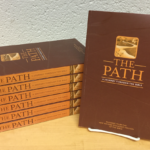 The Path has received a bronze medal in the Bible Study category of The Illumination Awards. Scholar Derek Olsen explores liturgical spirituality and how the prayer book serves as a repository of Christian wisdom and spiritual practice stretching back to the beginnings of the Christian movement. Focusing on three key elements—the Calendar, the Daily Office, and the Eucharist—he discusses the spiritual principles behind them and provides clear, practical, easy-to-follow explanations of the services. This year-long reading adventure includes meditations written by more than one hundred archbishops, bishops, deans, priests, and scholars. If you never thought you could read the whole Bible, The Bible Challenge is a wonderful way to embark on a holy pilgrimage joined by others from around the world! Each Journey book includes fifty days of scripture readings, meditations, and prayers written by dynamic spiritual leaders from around the world. 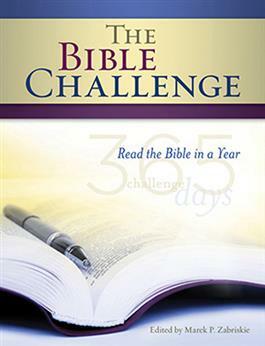 The series is an extension of The Bible Challenge, a global initiative to encourage daily engagement with the Word of God. Many of us go through life feeling as if we are failing to be the person we could be. 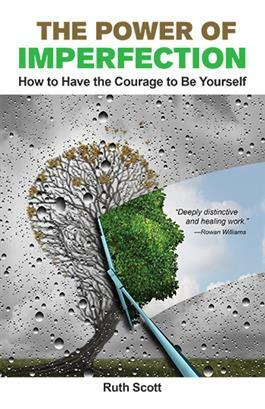 But as this liberating book explores, there is power to be found in imperfection. Using stories from scripture and the news, personal experience, poems, and art, author Ruth Scott celebrates the messiness and creative potential of being human. It’s coming! Can you feel it? Thanksgiving and Advent are right around the corner, and that means you’re probably looking for your comfy pants, because skipping a piece of Aunt Lu’s pumpkin pie is a terrible idea. Maybe you’re really looking forward to spending time with all your relatives and friends, or maybe you’re really looking for a quiet corner to gaze upon the majesty of family from a safe distance. Whatever you end up doing, we hope you are able to spend time with people you love (and people who love you), thanking God for all the blessings of this life, and waiting to see what other wonders God may have in store for you in the coming days and months. Families are weird, you guys. And if you think your family isn’t a tiny bit odd, you definitely have at least one friend who will disabuse you of that thought. Take my friend Macrina the Younger as an example. She’s one of those saints you might not know anything about. The most important thing to know about her—the most important thing you can know about yourself or anyone else—is that she was a beloved child of God and friend of Jesus. Another helpful bit of information: she came from a pretty unusual family. You know those families you can hardly believe are real? The ones with the ridiculously overachieving children and the magically organized parents? Yeah…that was Macrina’s family. 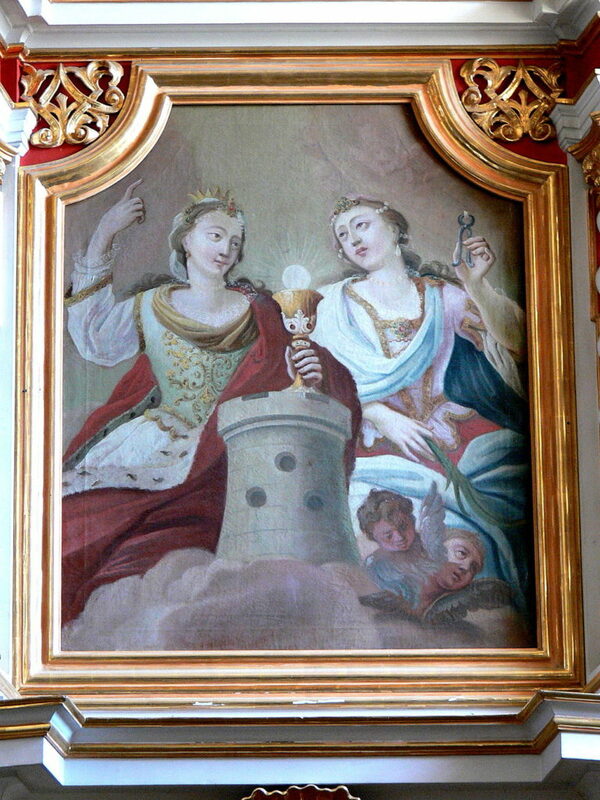 Both her parents are saints—Emmelia of Caesarea and Basil the Elder, and her grammy Macrina the Elder is one, too. Also, four of her siblings (Basil the Great, Gregory of Nyssa, Peter of Sebaste, and Naucratius—who was allegedly The Cute One) are saints as well, and Basil and Gregory are counted as TWO of the three Cappadocian Fathers—who are a pretty big deal, as they did much of the heavy lifting involved in fleshing out (see what I did there?) the doctrine of the Trinity. Rumor has it that Macrina the Younger was actually the Fourth Cappadocian Parent, but since the Church had a really hard time remembering to count women as actual human people for a few hundred years, she has been recognized as a part of this group in only the last few decades. You can read more about her life of faith in the 2017 Saintly Scorecard! By now, many of you will have read, marked, and inwardly digested the Lent Madness Bracket for 2017—you may have even pre-ordered your giant wall bracket, Saintly Scorecards, and lit a vigil candle in preparation for the Saintly Smackdown. Whatever you’re doing, keep doing it. This year’s Lent Madness promises to be a real barn-burner, and we can’t wait to play. To help you get ready, we’re running a Saintly Special until Sunday 11/13 on Lent Madness-related swag—coffee cups, pint glasses, giant tea mugs, t-shirts, Golden Halo flying disks, and our family resource Meet the Saints so you can work toward making your family as weird and wonderful as Macrina’s, for Jesus’ sake. October is kind of a big month for saints’ days. 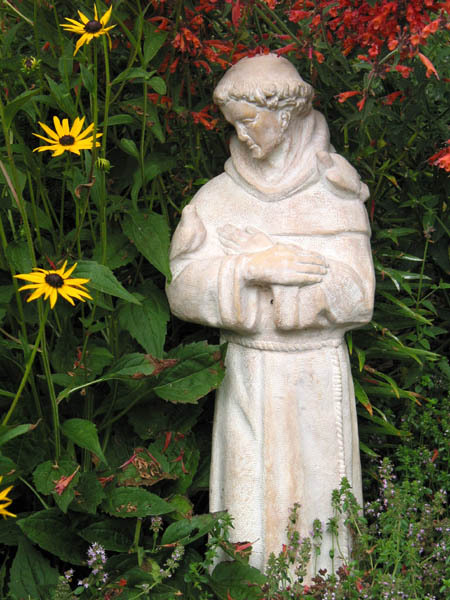 We celebrated one of our most beloved saints, and the 2015 Golden Halo Winner, Saint Francis of Assisi on October 4. On October 31, we begin one of our lesser-known triduums (three-day festivals)—All Hallows’ Eve, All Saints’, and All-Souls. Tim and Scott will tell you that there is actually a fourth bonus day to this feast—All Brackets’ Day—and they would be mostly non-heretical in that claim. Mostly. From Remigius of Rheims (Apostle to the Franks), William Tyndale (Translator and Martyr), Theresa of Avila, Luke, Simon, Jude, and all the saints of God, known and unknown, who have gone before us are celebrated as we make the tight turn into fall. And life is still rolling on all around us, even in the midst of these holy mysteries and celebrations. All that excitement is enough to make you want to turn off the TV, or put down your phone, or take a hot shower, or a camping trip, or a long walk just to clear your head. We know Francis as the patron saint of animals, and many of us are invited to bring our furry friends to church for a special blessing on his day. Some of us may think about Francis when we pray for our favorite Cub Scout, or friends who live in San Francisco, or for our friends who sell and make things. But what would happen if we thought about Francis—or any of the saints, for that matter—when we walk through our neighborhoods, or on our way to work, or through the parking lot to take the kids into school? We enjoyed seeing your pet blessing pictures on social media—and we’re looking forward to seeing your favorite (and appropriate—I mean come on, we’re family-friendly) Halloween costumes, even as we await with bated breath the release of the 2017 Saintly Scorecard. Don’t forget to brush and floss and say your prayers! In the meantime, what better way to get excited about All Saints’ Day than with a site-wide sale? From now until November 1, take 10% off one order (of any size) from Forward Movement. Just use the campaign code SAINTSDAY at checkout. Enjoy, and here’s to the saints! In this week’s edition of our weekly newsletter, Scott Gunn reflects on “fall cleaning” season as a time to discard old practices, and to welcome the new. The autumn is one of those times each year when people tend to do cleaning. It’s perhaps not as famous as “spring cleaning,” but this time of year brings cleanup, yard work, swapping out summer things for cool-weather things, and so on. The kind of cleaning where one simply removes dirt is less fun for me than the kind of cleaning where one is looking at objects and making decisions. Do I need this thing? Can I get rid of it? Will someone else want it? What is the responsible way to discard it? And then, at the end, I love the new space that opens up when we’ve discarded unused items. There’s a spiritual aspect to all this. We don’t need to wait for Lent to look at our lives and our practices. Do I want to continue this practice? Should I stop it? Does it help me to be the person God wants me to be? When I manage to stop practices, it opens up time for new practices. I love that! Less time on Netflix means more time to write! We’re having to do a bit of this at Forward Movement. 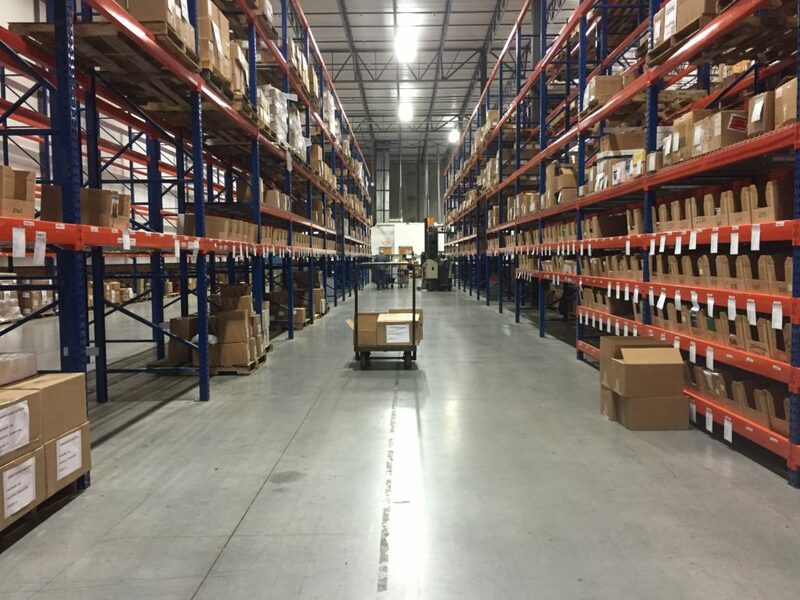 A few weeks ago, we learned we have to find a new warehouse. Not very exciting stuff, but yet it affords great possibility. We’ve looked at every item in our catalog, as we decided whether we’d move things to the new place. It’s been hard work, but the kind of work that keeps us focused on our mission. 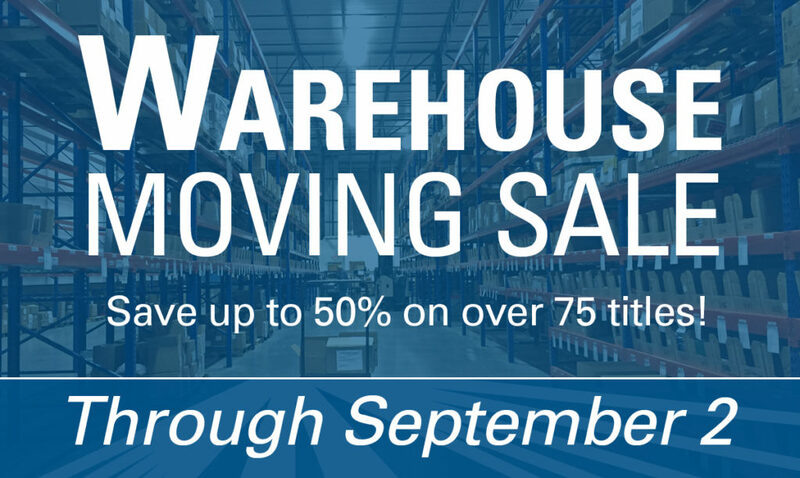 And, while I try to keep these weekly reflections from being too commercial, I must tell you that there’s a great benefit to you, dear reader, of our warehouse move. We have decided to put loads of things on sale, and you can get some never-before-seen discounts on many items. Please do have a look. How can you use this time? What practices or objects is it time to let go of? What practices or objects is it time to take on? At Forward Movement, we believe that Jesus and his friends are important people to know. 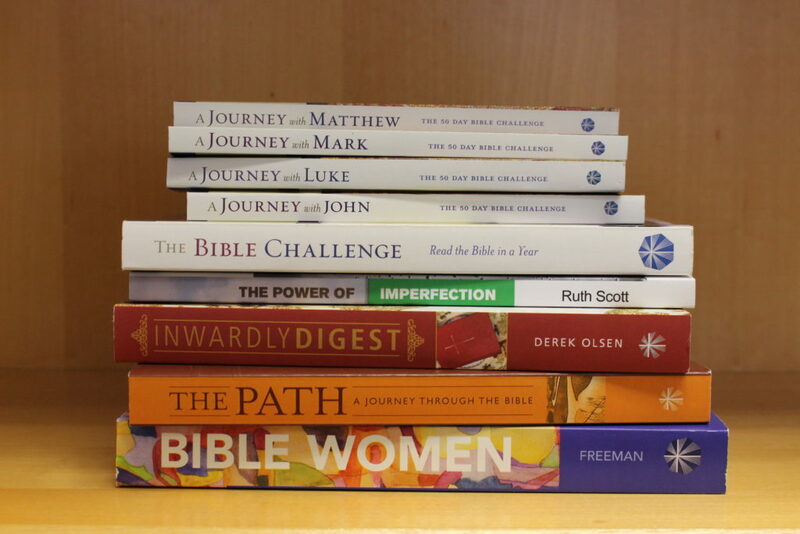 The books we publish, the resources we produce, the meetings we have, and our communication with our readers and customers are all shaped around our mission of inspiring disciples and empowering evangelists. That’s where the life of Saint Barbara and the life of Forward Movement meet and mingle, and the space we’re using to celebrate this dance is our warehouse—where we are currently having a sale! We’re moving warehouses, and we’d like to let you help us make that transition a little easier by buying some truly lovely books, booklets, and pamphlets. We’ve made it easy to help by marking down some of our best-loved and frequently-used seasonal offerings—including items from Lent Madness—as well as some of our more focused meditation books—like The Soul’s Journey: An Artist’s Approach to the Stations of the Cross. 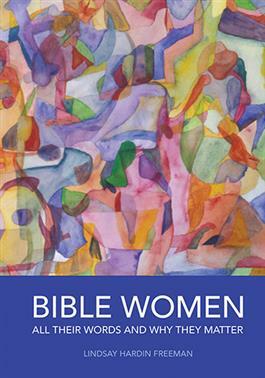 You can also pick up a copy of what we are sure is Saint Barbara’s favorite Forward Movement book, Bible Women: All Their Words and Why They Matter. Whether you take advantage of this great sale, or simply take away a new person to read about on your next trip down a Wikipedia wormhole, we hope that you know your friends at Forward Movement are always thinking about ways to help you know Jesus better, to inspire your discipleship and empower your evangelism. We look forward to talking to you soon.